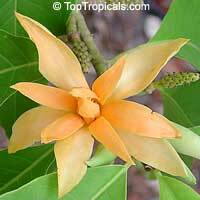 Joy Perfume Tree with orange/yellow flowers. Joy Perfume Tree with orange/yellow flowers. 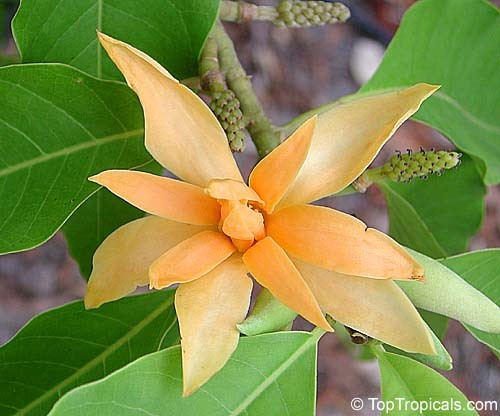 The flowers from this tree are used to make the world's famous 'Joy' perfume. Grows to the size of a large shrub or small tree, 15-20' in height. It is a tropical tree, however established plants can tolerate light freeze. Yellow Champaca is much more cold tolerant than var. Alba. This is one of the best perfume trees for your landscape. Seedlings start to bloom within 4-5 years in tropical climate. Joy Perfume Tree with orange/yellow flowers. The flowers from this tree are used to make the world's most expensive perfume 'Joy'. Grows to the size of a large shrub or small tree, 15-20' in height. 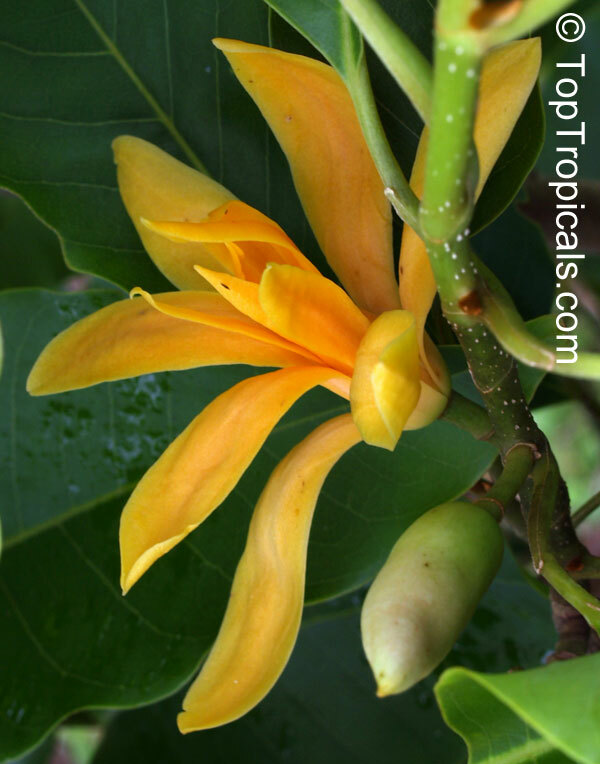 It is a tropical tree, however established plants can tolerate light freeze. Yellow Champaca is much more cold tolerant than var. Alba. This is one of the best perfume trees for your landscape. 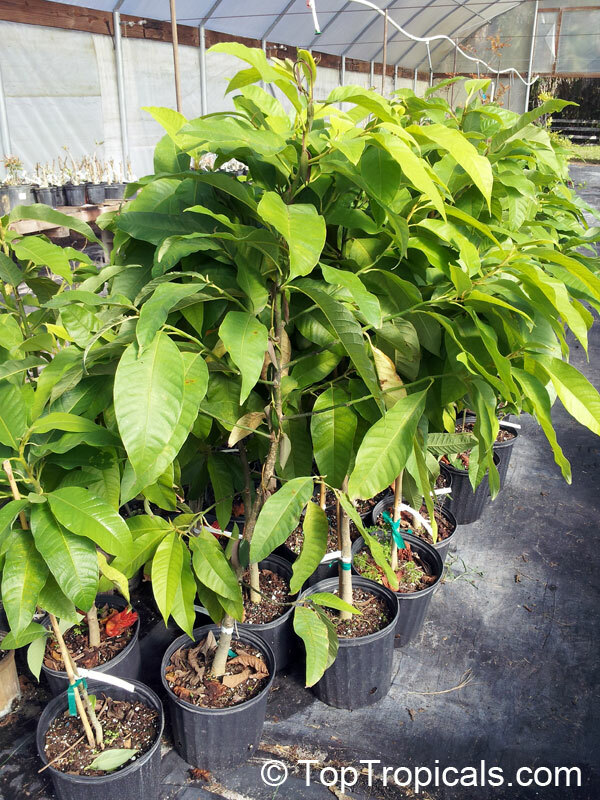 These plants are large size and will bloom within 2-3 years in tropical climate. See picture of actual plant for sale.